The HTC U12 – or HTC U12 Plus is it&apos;s looking likely to be called – is just days away, as it&apos;s launching on May 23 (that&apos;s this Wednesday). But it will have its work cut out as it&apos;ll arrive after flagship launches from Samsung, Sony, Huawei, LG, OnePlus and Honor – ensuring there&apos;s plenty of competition for the Taiwanese firm&apos;s next hero handset. Update: The latest HTC U12 Plus leak includes a complete specs list and high-quality press renders, so there might now be almost nothing that we don&apos;t know about the phone. The HTC U11 was an impressive phone, but one with a headline feature that didn’t quite convince. So there’s room for improvement for the HTC U12. The HTU 12 (or U12 Plus) has seemingly leaked almost in full and the good news is that leaks suggest there will be plenty of improvements. We&apos;re rounding all the information up here to give you the best idea of what to expect on May 23. We now know that May 23 is the HTC U12 launch date after the firm tweeted a picture (above) along with the message "Coming Soon. A phone that is more than the sum of its specs." It&apos;s a date that makes sense, as it was in May 2017 that the HTC U11 was announced and June that it hit stores, and the HTC 10 also launched in the month of May. There&apos;s no word on when the HTC U12 will go on sale, but we&apos;d expect a U12 release date of early June for the handset. It’s sure to cost a lot. The HTC U11 launched for $649 (£649, AU$999), so you’ll probably have to pay at least around that much for the HTC U12. The only price rumor so far is a claim that it "won&apos;t be cheap", so if anything it will probably cost more than the HTC U11. We may now have seen live photos of the HTC U12 Plus, which you can see below. The leaked images show off the shiny, almost mirrored back, which looks to sport the same Liquid Surface finish as the HTC U11 and HTC U11 Plus. 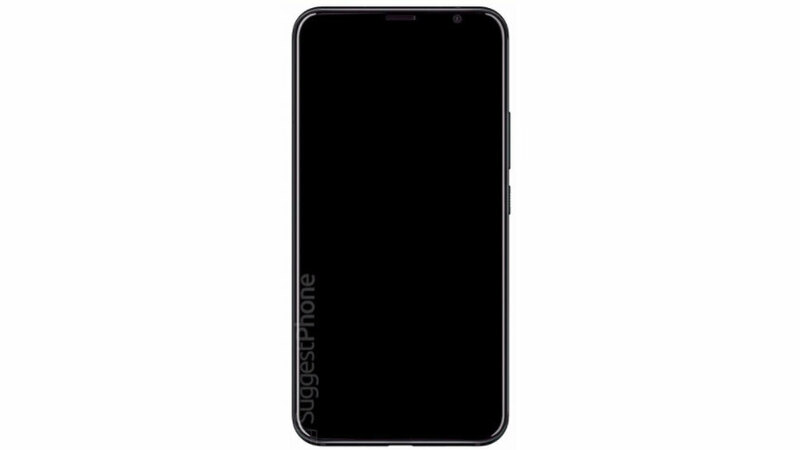 You can also see that there&apos;s minimal bezel but no notch and that there&apos;s no 3.5mm headphone port – something we&apos;ve heard rumored previously. Additionally, you&apos;ll also note that there are two cameras on both the front and back. That too has been rumored before – head to the camera section below for more details. Meanwhile, the leaked press renders below show the HTC U12 Plus off in what appear to be translucent, red and black shades. These come from Evan Blass, who&apos;s a typically reliable leaker. He also shared a specs list, revealing that the HTC U12 Plus is apparently 156.6 x 73.9 x 8.7-9.7mm and 188g, as well as having IP68 certification for dust and water resistance. We&apos;ve also seen other leaked renders (below), which give us another clear indication of how the HTC U12 might look, showing a shiny, curved glass back with a dual-lens camera and rear-facing fingerprint scanner. The front seems to have small bezels and no buttons (but also no notch), and a dual-lens camera of its own. The renders match up with the images above, so this likely the design of the phone. We&apos;ve also seen earlier photos seemingly showing the HTC U12 in the flesh, albeit partially obscured by stickers. Taken at a 5G Industry Alliance event, the photos show an unannounced HTC handset with a likely 18:9 screen and no fingerprint scanner visible on the front. The shots match up with an earlier leaked image supposedly showing the front of the phone. The image (below) is very plain and it&apos;s hard to make out many details, but it looks as though the U12 may have smaller bezels than most HTC handsets. There&apos;s no visible fingerprint scanner, but other images have shown one on the back, so that makes sense. The images somewhat line up with a leak, with a source claiming that the HTC U12 will have a metal frame and a curved glass back, with a fingerprint scanner on the rear and a design that&apos;s similar to the HTC U11 Plus. However, they add that the U12 will come in a new matt white finish, which could change the look and feel of the handset. That said, another source has since said that the HTC U12 Plus will land in black, red rose, violet and translucent colors, with no mention of white. We&apos;ve additionally heard from multiple sources that the HTC U12 will be IP68 certified, meaning it can be submerged up to 1.5 meters deep in water for up to 30 minutes. Apparently though it won&apos;t have a 3.5mm headphone port. As for the screen, some of the most recent information on that comes straight from Verizon, which has listed the phone on one of its websites, revealing that it apparently has a frame-less Super LCD 6 display with a WQHD resolution and Gorilla Glass protection. Other details come from a comprehensive specs leak from reliable leaker LlabTooFeR, who claims the HTC U12 has a 5.99-inch QHD+ screen. Elsewhere, the HTC U12 Plus has also been leaked, with the phone said to have a 6-inch WQHD+ screen. Multiple other sources have since backed that claim up. While a comprehensive leak from Evan Blass points to the phone having a 6-inch 1440 x 2880 Super LCD 6 screen with a pixel density of 537 pixels per inch. And while this is the Plus model we&apos;re talking about, another source says there won&apos;t be a standard HTC U12, with the HTC U12 Plus being the company&apos;s only flagship of the year. Indeed, the HTC U12 Plus is the only model we&apos;ve heard mentioned recently, so this seems believable. According to leaker LlabTooFeR, the HTC U12 will have a dual-lens camera with 12MP and 16MP lenses, along with an 8MP front-facing camera. 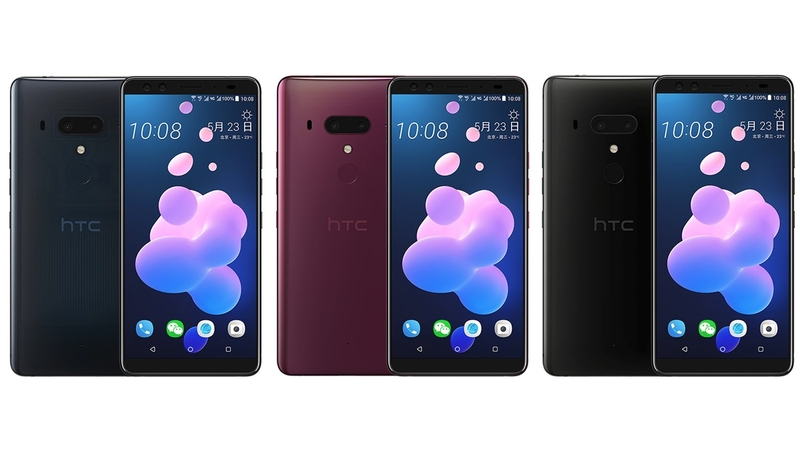 The HTC U12 Plus (which, again, might be the only U12 we get) has also had its camera specs leaked, with sources saying that it will have 16MP and 12MP rear cameras, as above, but that rather than a single 8MP front-facing camera there will be two. Some of the images above show two cameras on the front, so this could well be true. 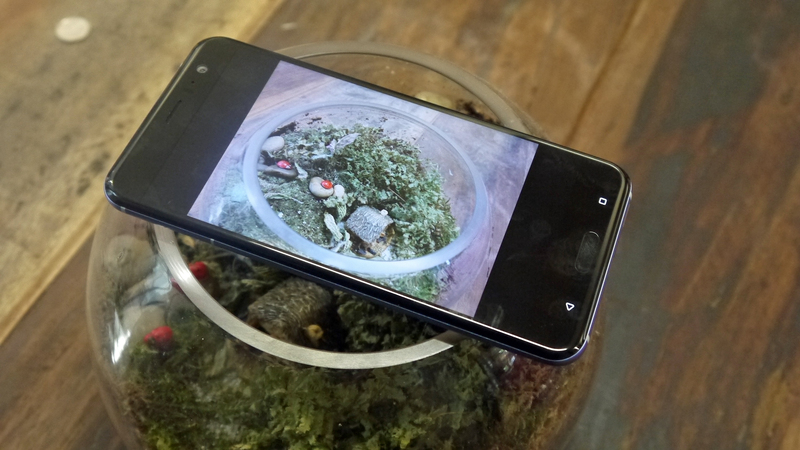 A leak from Evan Blass expands on these rumors, saying that the HTC U12 Plus will have a 12MP f/1.75 wide-angle lens and a 16MP f/2.6 telephoto lens, along with optical image stabilization and 2x optical zoom. Plus two 8MP f/2.0 front-facing cameras and 4K video recording at up to 60fps. Additionally, HTC itself has revealed that it will start making dual-lens phones again in 2018, so the HTC U12 may well be one of them – especially as other rumors talk of a dual-lens camera and the company is supposedly only launching two phones this year. 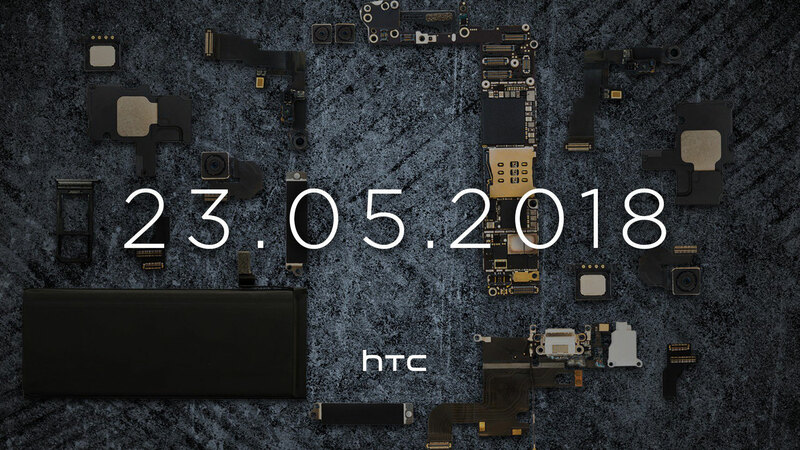 The image HTC tweeted to announced the U12 launch date appears to show four camera components, adding fuel to the fire on dual cameras front and back. We&apos;ve also seen leaked photos supposedly shot on an HTC U12 Plus and they&apos;re all 12.2MP, but some have an f/2.6 aperture and some an f/1.8 aperture – so those are probably the apertures of each lens, but it&apos;s possible that one lens (likely the 12MP one) has a variable aperture, since all the shots are around 12MP. The latest battery leak meanwhile comes from Verizon – which makes it pretty close to official. The mobile network has listed the phone as having a 3,500mAh juice pack and fast charging. We&apos;ve heard that size stated more than once now, though more than one other leak has mentioned a 3,420mAh battery, but what&apos;s 80mAh between friends? One source claims that the HTC U12 has an octa-core Snapdragon 845 chipset, which is exactly what we&apos;d expect from a 2018 flagship. The same source adds that it has up to 6GB of RAM and up to 256GB of storage, along with a microSD card slot. The microSD slot rumor has been given more credibility as a SIM tray with space for the storage card appeared in an image HTC tweeted. They also shed some light on software and other features, saying the phone runs Android Oreo with HTC&apos;s Sense 10 interface, sports &apos;HTC Face Unlock&apos; and has Edge Sense 2.0 – which is a new version of the squeezable sides found on previous HTC handsets. We&apos;ve heard similar things about the HTC U12 Plus – which might be one and the same as the HTC U12. That&apos;s rumored to have a Snapdragon 845 chipset, 6GB of RAM and a microSD card slot, but with internal storage coming in at either 64GB or 128GB. HTC&apos;s Edge Sense feature is also unsurprisingly said to be included. Those exact specs have since been echoed in a more recent leak. Another recent leak pegs the HTC U12 Plus at 64GB of storage in Europe, but that means it might be available with more elsewhere.